FRANKFURT -- Volkswagen AG plans to increase financial backing for its vehicles in Europe by one-third to strengthen customers' loyalty. The automaker will finance or lease 40 percent of new VW, Seat, Skoda and Audi models delivered in Europe within four years compared with 30 percent in 2011, Frank Witter, the head of the manufacturer's financial unit, said in an interview. "We can increase the penetration in the European markets," Witter said. "In Germany, 54 percent of all Volkswagen group cars are financed or leased through us." Volkswagen posted a 14 percent increase in companywide global sales last year to 8.16 million cars, sport-utility vehicles and commercial vans. The increase included growth of 11 percent to 1.15 million deliveries in Germany, 7 percent to 1.98 million elsewhere in western Europe and 29 percent to 548,000 in central and eastern Europe. "Financial-services customers are more loyal," Witter said in a presentation on Jan. 13. "There is a date that the customer has to make a decision, when the finance contract ends, and we know about that date. This is an opportunity or us to talk to the customer and offer what's new out there. Of the vehicles that VW provides backing for in Europe, 70 percent involve car loans and 30 percent are leased, Witter said in the interview. 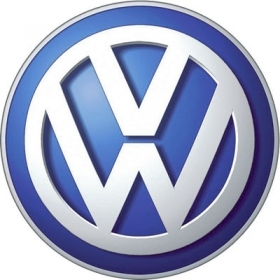 The Volkswagen Financial Services division's balance sheet increased to around 90 billion euros ($114 billion) at the end of 2011 from 87.8 billion at the end of June, according to the presentation. About 25 percent, or 22 billion euros, was held in the form of customer deposits, a proportion the company will strive to increase to 33 percent, Witter said in the interview, declining to specify a time frame. The carmaker has no plans to expand customers' financial offerings in the United States. for the Audi luxury division, Witter said. Roughly 65 percent of Audi's vehicles in the country are financed or leased, with a 50-50 split between each option. "We will grow the business very slowly," he said. "We are not going to risk something that is very important: residual value and quality. If you put a lot of incentives behind your car, you have way more off-lease value cars, and that puts pressure on your residual values." Audi ranks second worldwide in luxury-vehicle sales, after BMW, while in the U.S. its sales lag behind such brands as Mercedes-Benz, BMW and Lexus. Audi historically hasn't been as aggressive in its U.S. leasing model as BMW or Daimler, according to Jesse Toprak, an analyst at Truecar Inc. in Santa Monica, California. "In a lot of U.S. markets, the leasing percentage for German luxury brands exceeds 70 percent," Toprak said on Dec. 30. "So if your lease model is not that attractive, you're not going to sell that many."